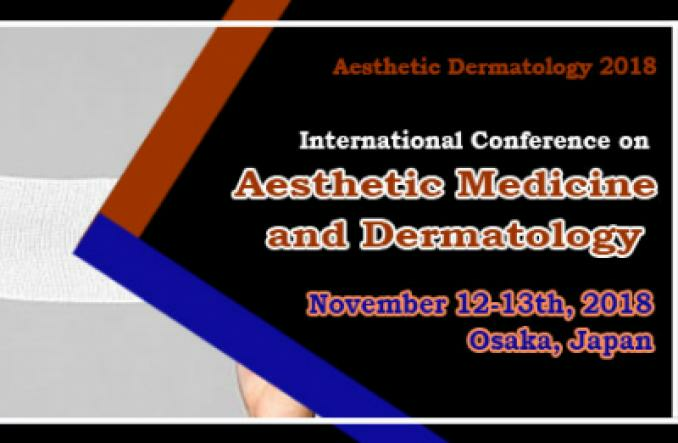 Attending International Conference on Aesthetic Medicine and Dermatology conference will allow you to meet different individuals, who share diverse backgrounds and experiences in aesthetic medicine and dermatology. Experts from different fields of dermatology, cosmetic, aesthetic, plastic and reconstructive surgery will attend the conference to share their ideas and research analysis with everyone. This conference will provide an opportunity to make connection with delegates around the world who share similar research interest. Aesthetic Dermatology 2018 will provide the platform to establish new scholar cooperation with other university researchers and scientists, Conferences give you the chance to shine as a student/scholar, especially if you’re presenting on any specific topic. Attending this conference may give you the opportunity to learn about a new place and new culture. Reconstructive surgery is often performed on cancer patients as well as on burn and accident victims. It may involve there building of severely fractured bones, as well as skin grafting. Reconstructive surgery includes such procedures as their attachment of an amputated finger or toe or implanting a prosthesis. Breast reconstruction, Breast reduction, Cleft lip (cheiloschisis) and cleft palate (palatoschisis), Gender Confirmation Surgeries, Hand Surgery, Lymphedema, Reconstructive microsurgery, panniculectomy surgery, Scar revision surgery. Dermatological Diseases includes common skin rashes to severe skin infections, which occurs due to range of things, such as infections, heat, allergens, system disorders and medications. Foremost common skin disorders are dermatitis. Atopic dermatitis is associate current (chronic) condition that causes restless, inflamed skin. Most frequently it seems as patches on the face, neck, trunk or limbs. It tends to flare up sporadically so subside for a time. Breast augmentation is plastic surgery terms for the breast-implant and the fat-graft mammoplasty approaches used to increase the size, change the shape, and alter the texture of the breasts of a woman. As a primary reconstruction, augmentation mammoplasty is applied to affect a post–mastectomy breast reconstruction, the repair of the chest wound consequent to the removal of a cancerous breast; to correct congenital defects of the breast(s); and to correct congenital defects of the chest wall. As an elective, cosmetic surgery, primary augmentation changes the aesthetics – of size, shape, and texture – of healthy breasts. Bariatric surgical procedures cause weight loss by restricting the amount of food the stomach can hold, causing malabsorption of nutrients, or by a combination of both gastric restriction and malabsorption. Bariatric procedures also often cause hormonal changes. Most weight loss surgeries today are performed using minimally invasive techniques (laparoscopic surgery). The most common bariatric surgery procedures are gastric bypass, sleeve gastrectomy, adjustable gastric band, and biliopancreatic diversion with duodenal switch. With local anesthesia, the nose and the area around it are numbed. You will probably be lightly sedated but awake during the surgery (relaxed and not feeling pain). General anesthesia allows you to sleep through the operation. The surgery is usually done through a cut (incision) made inside the nostrils. In some cases, the cut is made from outside, around the base of the nose. This type of cut is used to perform work on the tip of the nose or if you need a cartilage graft. If the nose needs to be narrowed, the incision may extend around the nostrils. Small incisions may be made on the side of the nose to break and reshape the bone. Dermatologic surgery manages the determination and treatment of restoratively vital and corrective states of the skin, hair, nails, veins, mucous films and neighboring tissues by different surgical, reconstructive, corrective and non-surgical techniques. The reason for dermatologic surgery is to repair as well as enhance the capacity and restorative appearance of skin tissue. Because of research leaps forward, clinical advances and instrumentation developments spearheaded by skin surgery specialists, the dominant part of dermatologic surgeries are presently negligibly intrusive and require just nearby or provincial anesthesia. This converts into prevalent patient wellbeing while at the same time diminishing the terrifically essential "downtime" and recuperation period. Moreover, new advancements and the most recent methods are continually improving the aftereffects of numerous set up skin surgery strategies. Dermatopathology is a joint subspecialty of dermatology and pathology and to a lesser extent of surgical pathology that focuses on the study of cutaneous diseases at a microscopic and molecular level. Dermatopathologists work in close association with clinical dermatologists. More than 1500 different disorders of the skin exist, including cutaneous eruptions "rashes" and neoplasms or dermatological oncology deals with pre-cancers, such as an actinic keratosis and cancers, including both benign masses, and malignant cancers- such as basal cell carcinoma, squamous cell carcinoma, and most dangerously malignant melanoma. Non-cancerous conditions include vitiligo, impetigo, purpura, pruritus, spider veins, warts, moles, oral or genital herpes, chancre sores of syphilis, exposure to poison ivy and similar plants or other venom sources, rashes, cysts, abscesses, corns, and dermabrasions or cases dealing with wrinkles, peeling skin, or autoimmune attacks on the skin. Therefore, Dermatopathologists must maintain a broad base of knowledge in clinical dermatology and be familiar with several other specialty areas in Medicine. Surgical techniques are perfect for men and ladies who need a more considerable and sensational change in their appearance or who have more huge indications of maturing over a broad zone. For example, a person with profound wrinkling over the face and neck may discover more prominent fulfillment with a full facelift, neck lift and browlift or temple lift than with a non-surgical laser system or shallow compound peel. Surgical methods are likewise utilized when inserts are wanted — for example, bosom inserts, calf inserts or facial inserts for the cheeks or button. Surgical techniques are likewise utilized for diminishment methodology, for example, bosom decrease and nose reshaping (rhinoplasty) systems. Also, obviously, liposuction is an extremely prominent kind of surgical system that utilizations littler entry points to permit exceptionally outlined surgical instruments to achieve the treatment territory. International Conference on Aesthetic Medicine and Dermatology added 3 new photos. Alex Landers created a Event listing.